What type of account do you have? This blog was written by Kerrie Merz, Development Director, American Diabetes Association of Rochester. Each year, the American Diabetes Association of Rochester hosts its annual fundraiser, the Tour de Cure. Under Manning & Napier’s title sponsorship from 2016-2018, the Rochester Tour de Cure grew to be the largest Tour in the nation. True partnerships between corporations and non-profit organizations are mutually beneficial. The corporation will benefit by bringing the mission of the organization to its employees through education, volunteer opportunities and the chance to make a difference, at the same time it is increasing community engagement and exposure. The non-profit can benefit financially through corporate sponsorships, employee giving and through exposure to their new partner’s business contacts, while cultivating new volunteer leadership from within the company. Here are a few key things I keep in mind as I look to secure partnerships for the Tour de Cure. Common interests. Look for a company that may benefit from the audience your organization serves and has shown an interest in your cause or mission in the past. Take the time to research. Don’t focus solely on large companies. Sometimes you will have better traction and engagement from small or medium-sized companies. While a small business may not be able to participate as the title sponsor of your event from a financial standpoint, they may be willing to contribute promotional gifts or assist in fundraising to benefit your cause, while concurrently advertising their company. Personal connections. Companies that your board members work for may be willing to sponsor an event. Reach out to your network of volunteers and donors to see if their employers are looking for an opportunity to become a corporate partner. Be patient in your search, as it may take some time to get in touch with the person who is best suited to discuss the potential partnership. You may want to start with marketing or human resources departments to set up an initial meeting. While these tips will help your organization get started in its partnership search, below are benefits to being a partner you can also highlight. Improve employee morale by participating in fundraising incentives at work for the upcoming event. Employees may genuinely be happier and the business may attract new employees that think highly of a company that is engaged within the community. It is important to approach corporate sponsorship as a partnership. Join us for our upcoming webinar on April 25 at 1pm to learn more on how your organization can make corporate sponsorships a win-win. 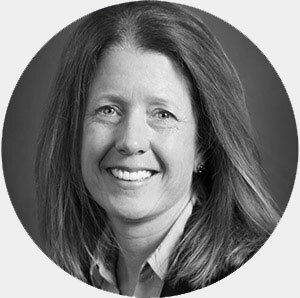 Nicole Kingsley Brunner, CMO of Manning & Napier and I will share our individual perspectives from both the corporate and development sides of a partnership. We’ll share actionable tips for non-profits and sponsors to create mutually beneficial relationships and make a difference in the community. When is Grouping Donations a Smart Strategy for Donors?